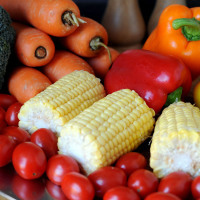 People may be able to enjoy better brain health in later life by following a Mediterranean diet, research has suggested. By following such a diet over a period of three years, the study indicates that people can experience less age-related brain shrinkage compared to others. To undertake the study, the research team conducted brain scans on just over 400 people in their seventies. The participants also revealed details of their diets. After three years, the people who adhered most closely to a Mediterranean diet had significantly greater brain volume compared to their peers, the scientists said. They noted that d iet accounted for roughly half of the variation in brain volume which was seen across all the study participants. So what is the Mediterranean diet? It simply involves eating the type of food which is consumed in countries based around the Med - things like vegetables, fruits, olive oil, beans and cereal grains. This type of diet also includes moderate amounts of fish, dairy products and wine, although it's not heavy on red meat and poultry. Taking a holiday to a Mediterranean country could be the ideal way to learn more about this way of life. Older holidaymakers can make use of seniors travel insurance to protect themselves during their time away from home. Commenting on the latest study, lead researcher Dr Michelle Luciano from the University of Edinburgh said people's brains can shrink as they get older. This can lead to the loss of brain cells, damaging learning and memory. But the expert added: "This study adds to the body of evidence that suggests the Mediterranean diet has a positive impact on brain health." Dr David Reynolds, chief scientific officer at Alzheimer's Research UK, said: "This study adds to previous research highlighting the importance of this kind of well-balanced diet in maintaining a healthy brain as we age." The findings of the research have appeared in the journal Neurology.